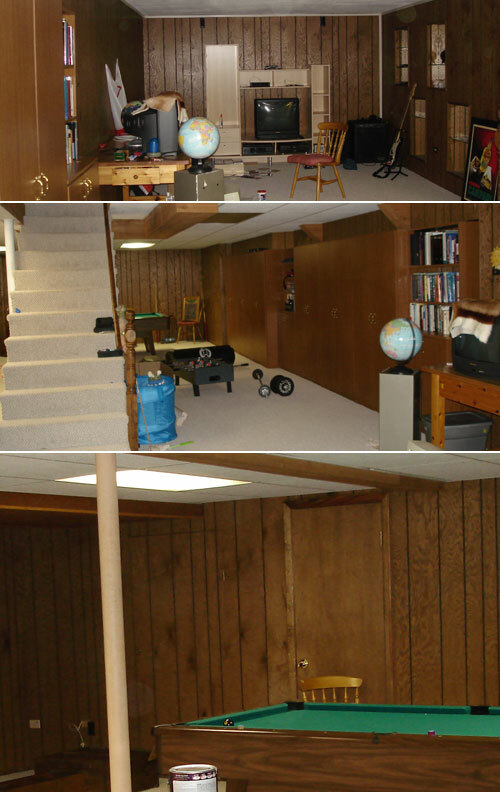 Well I thought it was about time I shared with you the de-browning of your basement. Do you remember what you looked liked a few months back? Nasty is putting it nicely. Your heavy wooden paneling was quite horrid and to be honest I never wanted to descend you stairs. Now after many hours labor and more coats of paint than I ever thought possible you look like this. AHHHH isn’t that so much better, I rather like descending to your depths now to be beaten at pool again on a retro 70’s pool table that was left behind by your previous owners. I have not done much to style you yet, you are a blank canvas waiting for embellishments but they will come and then I will share some more photos with you. p.s. 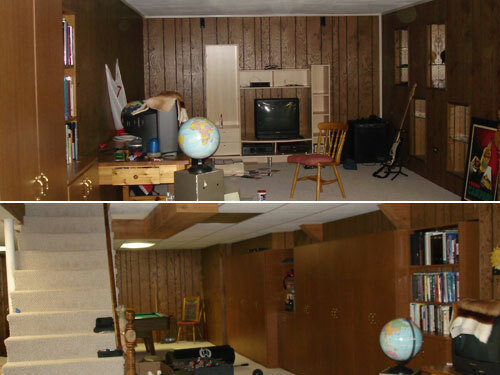 Want to “rate this space” head on over to HGTV where you can give this transformation 5 lovely stars! 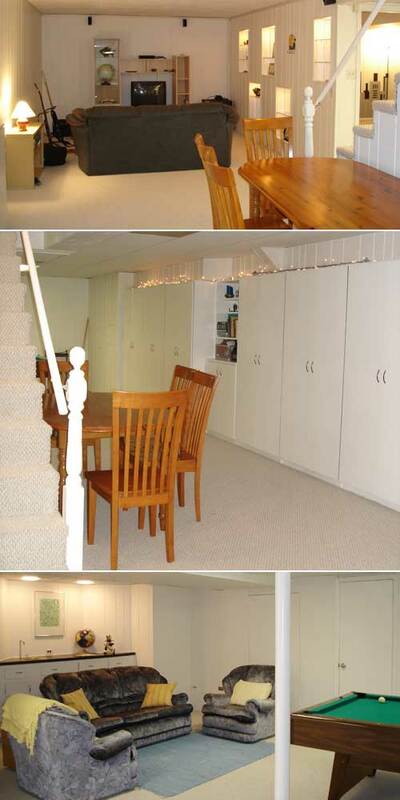 This entry was posted in Room Makeovers, The Power of paint and tagged basement, beforeandafter, paneling. Bookmark the permalink. looks so great now! it's amazing what a few coats of paint can do! yea..we could start a whole trend new decorating vocab! 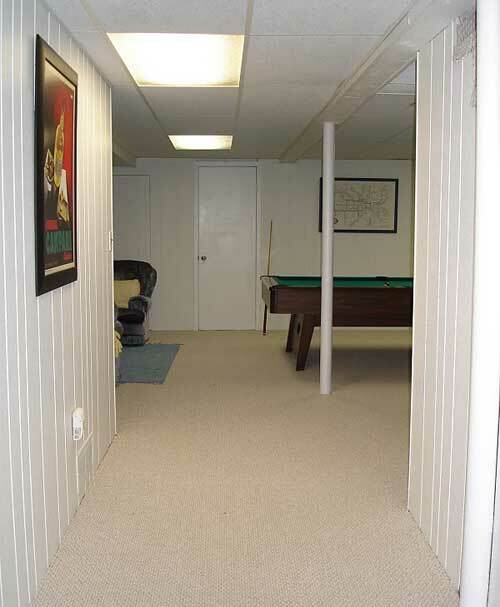 What color did you paint he basement? What preparation did you have to do to the paneling before painting? I used a primer first before two coats of latex paint. After painting it was easier to see any homes that needed filling. I filled them in with calk and painted over them. It was a massive project but well worth it.